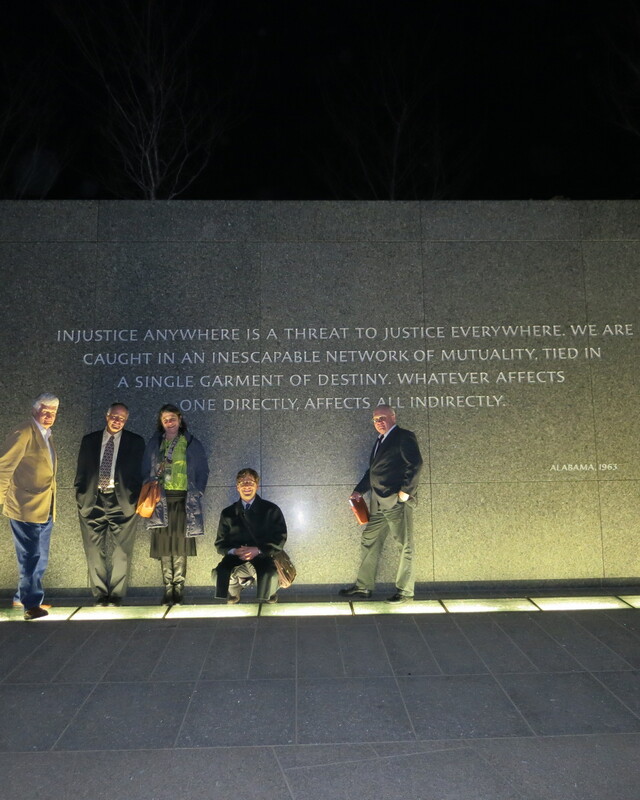 Photo credit: Ted Smith, Steve Albert, Alexandra Christy, Jeremy Guth, and Roger Surdahl at the Martin Luther King, Jr. memorial in Washington, DC. On a glorious Saturday afternoon over the Labor Day long weekend, as he was walking with his dog and his family down a familiar trail from the Mission Falls near Whitefish, Montana, Ted Smith slipped and fell down a steep slope and over a ledge to fall 150 feet. He died, as his family writes: “… doing what he loved in a place of incredible natural beauty.” Ted was one of the founders of the ARC International Wildlife Crossing Infrastructure Design Competition, and all of us at the ARC Solutions partnership, were shocked and deeply sadden by the loss. 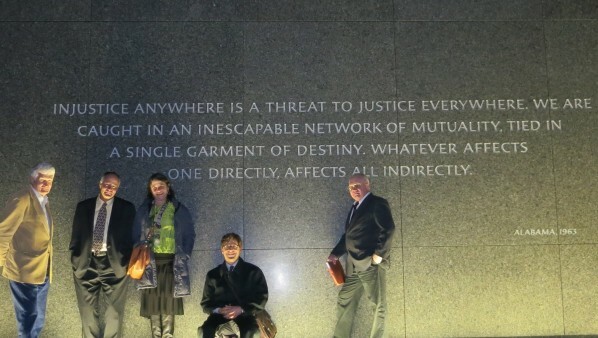 Ted was more than a founding partner of ARC. In so many ways, he pioneered and prepared the ground for the competition decades before. As the executive director of the Boston based Kendall Foundation, he was one of the first to fund conservation on a large scale trans-boundary level. One of the first to use such terms as connectivity and linkages to describe what was missing from the conservation strategies for wildlife in the 1990s. At the same time, he recognized roads as the barriers they were to animal movement across the landscape and funded research to better understand the problem and the development of a solution in Banff National Park. Fifteen years later, in his role with ARC, Ted was still looking ahead, urging us to involve motorists and the transportation community for whom the crossings would mean a dramatic drop in wildlife vehicle collisions, and asking, in the closing days of the competition: “So, are we just going to hand out the prize to the winner and then all go home?” ARC Solutions was our reply to that question. As well as a passionate and visionary conservationist, Ted was a wonderful friend and mentor to many of us at ARC. We offer our condolences to his family and his many friends. We will all miss him.